This past September I went on a 150 km hike in Qinghai province, China around Amne Machen. The altitude on the hike ranged between 3500m and 4600m, this photo was taken at the 4600m point. It was a long day of hiking and I did not expect the altitude to bother me as much as I did. I did not realize how much a difference 500m could make however I was fine at 4000m but once I got to around 4500m I got short of breath and had a pretty bad headache. However, it was worth it for this view. 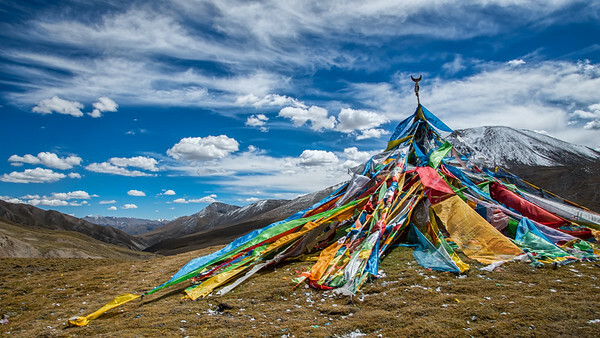 Thanks to Adventures in Tibet http://www.adventuresintibet.com/) for all the advice on how to approach the trek, it really helped.